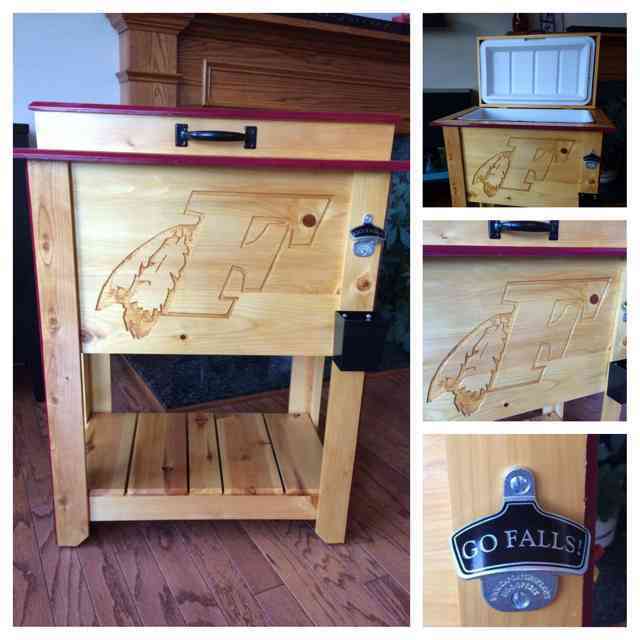 Support Menomonee Falls School District - WIN a Falls Custom Outdoor Cooler! WIN a Falls Custom Outdoor Cooler! MFHS thanks Jeff Kaus of Realty Executives for donating this amazing laser engraved cooler. The retail value of the cooler is $500! We will be raffling off the cooler for $20 per ticket. Please use the OTHER button to secure your tickets (IE: $20 for one ticket, $40 for two tickets, $60 for three tickets, etc.). Only 50 tickets will be sold! All raffle dollars will be used directly for MFHS facility upgrades. The entire Falls village will benefit as the field will be more accessible than it currently is. Each $20 donation earns you 1 ticket to win this amazing, laser cut cooler.